Staff members of Heath Funeral Chapel are caring and experienced professionals who understand that each family is unique and has personal requests and traditions. These requests and traditions are of utmost importance to us as funeral directors and office personnel alike. 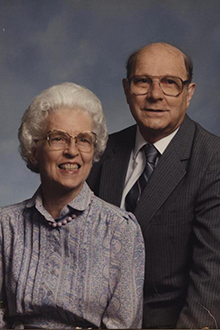 Foster and Doris Heath opened Heath Funeral Chapel on November 23, 1959. Foster served as President and Licensed Funeral Director until his death in April 2012. He graduated from the University of Minnesota's Program of Mortuary Science and held a Bachelor of Science degree from Florida Southern College and a Life and Variable Annuities License.Prior to the opening of Heath Funeral Chapel, Foster served his country in World War II as a tail gunner on a B-17 bomber in the Army Air Corps in Europe. He was discharged from the Army Air Corps in 1945 after spending 11 months in German Prisoner of War camps and was awarded a Purple Heart and other decorations.An active member of the Lakeland Community, Foster served on many committees that include the Chamber of Commerce, Lakeland American Red Cross, the American Legion and the Lakeland Rotary Club. He was also a member of the American Ex-Prisoners of War Organization.Foster and his wife Doris were members of College Heights United Methodist Church. They had two children, Caroline Heath Schichtel of Lakeland and Eugene Heath of New Paltz, New York, as well as four grandchildren. 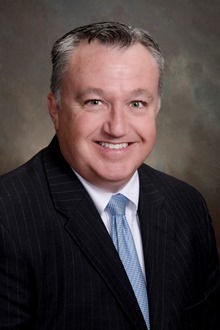 Bill joined his father-in-law at Heath Funeral Chapel in May of 1989 and is currently President and Manager of Heath Funeral Chapel.Born and raised in Buffalo, New York, Bill completed a Bachelor of Administration in Finance from St. Bonaventure University in 1973. After 16 years in South Florida, Bill made a career change and returned to school at The College of Boca Raton (Lynn University) to complete a degree in funeral service. 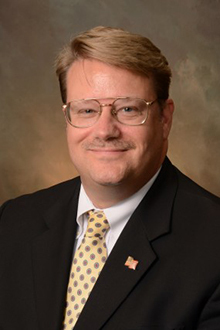 He also holds a Life and Variable Annuities License.Bill is an integral part of the Lakeland Community. 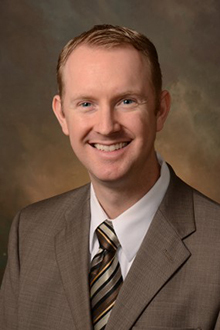 He currently serves on the VISTE Advisory Board (Volunteers in Service to the Elderly), the Imperial Symphony Board the Independent Funeral Directors of Florida Board and is also an active member of the Lakeland Rotary Club. He is also the past treasurer of Paint Your Heart Out Lakeland. Bill and his wife Caroline live in Lakeland and are active members of the First United Methodist Church. They have four children and three Labrador retrievers. 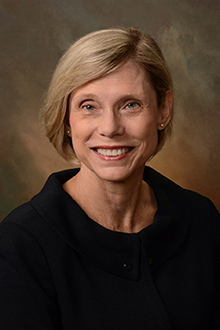 Caroline is the daughter of Foster and Doris Heath, founders of Heath Funeral Chapel, and the wife of Bill Schichtel.Born and raised in Lakeland, Florida, Caroline attended Cleveland Court Elementary, Southwest Junior High and Lakeland High School. Caroline completed a Bachelor of Arts Degree in Mathematics at Stetson University in 1978. After working in management for seven years at Southern Bell in Ft. Lauderdale and Pompano Beach, she became a stay at home mom to her four now-grown children.Like Bill, Caroline has been active in the Lakeland community. She has been involved with PTA and Lakeland Assemblies Cotillion Club. She is an active member of First United Methodist Church, PEO Chapter CP, and a Sustainer in the Junior League of Greater Lakeland.Caroline joins Heath’s staff by overseeing the Aftercare Program and developing relationships within the community. 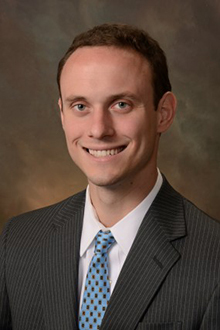 The oldest of the four Schichtel children, Matt holds a Bachelor of Arts in Economics from Davidson College and a Masters of Science in Accountancy from Wake Forest University. After obtaining his CPA license in North Carolina and working in Charlotte, he moved back to Lakeland in May of 2011 to help grow the family business. He is a member of the Lakeland Rotary. Art was born in West Virginia and moved with his family to Lakeland in 1989. He received his Associate of Science degree in Mortuary Science from St. Petersburg Junior College in 2005, his state of Florida Funeral Director’s License in 2006, and his Life and Variable Annuities License in 2009. Art joined Heath Funeral Chapelin 2007 as a Licensed Funeral Director.Art and his wife, Kellee, have four children: Declan, Nolan, Everett, and Maloree, and they attend Highland Park Church. Art is active in the Kiwanis Club of Lakeland, and enjoys spending time with his family, exploring parks and playgrounds with his children, and playing golf. Rusty was born and raised outside of Flint, Michigan. In 1990, he graduated from Olivet Nazarene University, in Kankakee, Illinois, with a degree in Christian Education. Rusty was a Student Ministries Pastor for the Church of the Nazarene in Florida, Michigan, Illinois, and Indiana. He received his degree in Mortuary Science from St. Petersburg College in 2011 and obtained his State of Florida funeral directors license in 2012. Since then, he has been working as a funeral director and a location manager in the Orlando area. He feels that his ministry continues now in the funeral industry, where he considers serving families such an honor.Rusty and his wife, Carol, reside in Lakeland, and have two highly active teenage boys. Carol is para-professional for the Polk County Schools. His boys are the fourth-generation Lakeland High School Dreadnaughts; Caleb plays soccer, and Sam plays basketball. They are active members at Highland Park Church of the Nazarene. He looks forward very much to serving the families in his hometown. He joined the staff at Heath Funeral Chapel in 2015. Stacy was born and raised in Mobile, Alabama. After graduating from high school, she attended Bishop State Community College and worked as an intern in a family-owned funeral home in the area. 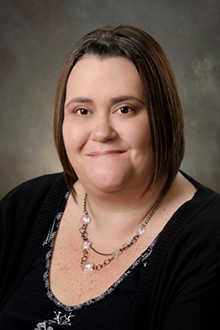 After completing her Associate of Mortuary Science degree in 1999, Stacy continued working in the funeral industry first in Alabama, then in Virginia and Florida. She joined Heath Funeral Chapel in 2018. Stacy and her husband met while attending college and have been married for more than 20 years. They have two children, one who is serving with the U.S. Coast Guard, and one who recently graduated from college. Mark was born in Youngstown, Ohio and moved to Lakeland in 1981 where he graduated from Lake Gibson High School the following year. He came to work for Heath Funeral Chapel in 1989 and was promoted to Support Staff Foreman in 2002. His hobbies include comic book collecting, reading, writing and swimming. Mark and his wife Linda currently reside in Lakeland. Billi was born in West York, Pennsylvania. She moved to Lakeland at the age of 12. 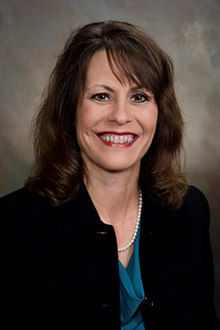 She graduated from Lakeland High School in 1994, with a focus on business classes.She and her husband, Aaron, have been married since 2002 and have two grown children, Austin and McKenzie.Billi’s hobbies include camping, going to the beach and spending time with her furry babies. Born in Avon Park, FL, Gracie moved with her family to Naples, FL, at a young age. She graduated from Lely High School in 1997, and married her husband, Warren, in 2006. They have three children, Jasmine, Jacob, and Jenna, and two dogs, Cheech and Lola. While in Naples, Gracie worked as a secretary with the Collier County School District, served as a school volunteer coordinator, and was an active member of the PTO. In 2013, Gracie and her family moved to Mulberry, where they have enjoyed exploring everything the area has to offer. 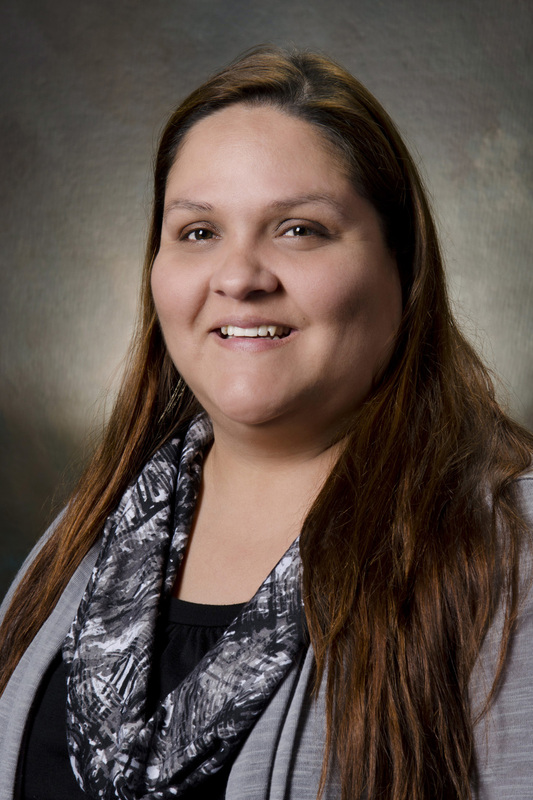 Gracie joined Heath Funeral Chapel in 2016 as an Administrative Assistant, and is available to assist our Spanish-speaking families. Lynn graduated from The University of Iowa with a Bachelor of Arts in Communication Studies and pursued positions in advertising, engineering, and higher education.She also has been a certified gymnastics instructor and volunteered with her children’s academic, athletic and choral booster clubs, PTA, and school advisory council. Lynn joined Heath Funeral Chapel in 2014. Harry was born in Dade City, Florida. He graduated from Dunnellon High School in Dunnellon, Florida. He then attended Florida Bible Institute (now Florida Baptist College), receiving his Bachelor of Divinity from Luther Rice Seminary in Jacksonville, Florida.Harry has pastored two churches in Alabama and three churches in Florida. He was the founder of All Faith Baptist Chapel in Lakeland, where he currently serves as Pastor.Harry and his wife, Eunice, have three sons and one daughter, five grandchildren, and three great-grandchildren. He joined Heath Funeral Chapel in April 2012. Mark moved to Florida from Westford, MA, in November 2011 after working in the insurance industry for many years. He graduated with a Bachelor of Business Administrative in Finance and a Minor in Marketing from Nichols College in Dudley, MA. An active community member both in Massachusetts and Florida, Mark has served as president of several community organizations and currently is active in the Lakeland Rotary Club and Boy Scouts of America. 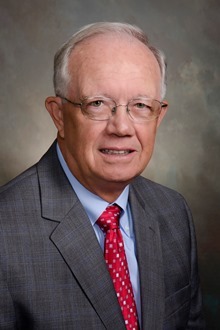 Prior to his move to Florida, he began volunteering with Central Florida SCORE, a mentor group of retired executives established in 1964, and currently is serving as chairman. 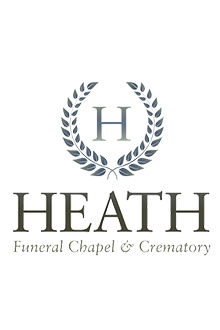 Mark joined Heath Funeral Chapel in September of 2014. He and his wife, Irma, reside in Lakeland. Gary was born in Wheeling, West Virginia, and spent his early childhood in Youngstown, Ohio, area. In 1954, he moved to Lakeland, where he attended Lake Morton Elementary, Lakeland Junior High, Southwest Junior High, and Lakeland High School, graduating in 1961. He then attended Florida Southern College. Gary married Janice Richardson of Auburndale in 1964, and began his career in banking with People Bank of Lakeland, where he worked for seven years. The Smiths then spent nine years in Sarasota County before moving back to Lakeland. 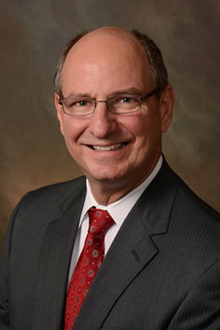 Gary concluded his banking career in 1991 with Citrus and Chemical Bank, having served Senior Vice President and Lakeland Area Executive. Gary then began working with senior citizens, managing apartment communities for low-income elderly residents. He held that position until December of 2014.Gary enjoys playing senior softball and golf, kayaking, working in his yard, and following Florida Southern College athletics. 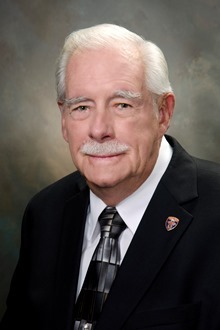 He serves as a commissioner on the board of the Lakeland Housing Authority, and as a member of the City of Lakeland Affordable Housing Advisory Committee. He and Jan have two grown sons, Rand of St. Petersburg, Florida, and Gordon of Asheville, North Carolina. The Smiths are members of Lake Morton Community Church. Gary joined Heath Funeral Chapel in 2015.